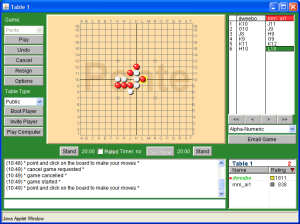 The main point of the site is to be able to play live Pente games with anyone in the world! If you don't have a block of time for playing live games, try turn-based games where you have up to a week to make a single move! You can also play against a world-class computer opponent in the live game room, it's a great way to improve your skills. Not always in front of your computer? Play from anywhere, any time with out mobile apps for iOS and Android. Our apps support all website features: turn-based play, live play, access the game database, play 2 different computer players. We have regular tournaments where you can battle for eternal glory and a crown. And King of the Hill where you fight your way to the top of the hill for a well-earned crown. 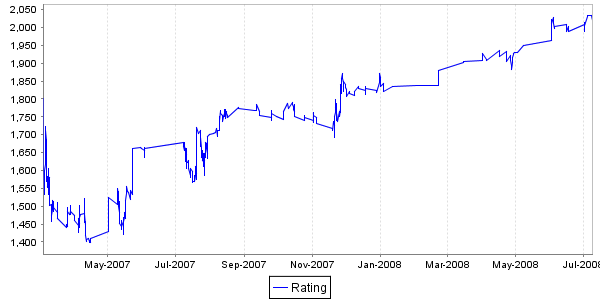 We keep track of your ratings over time so you can see your improvement. 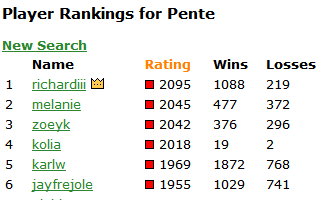 You can also see how you rank against other players on the site. Want to really improve your game? Study past games by the best players in the world! 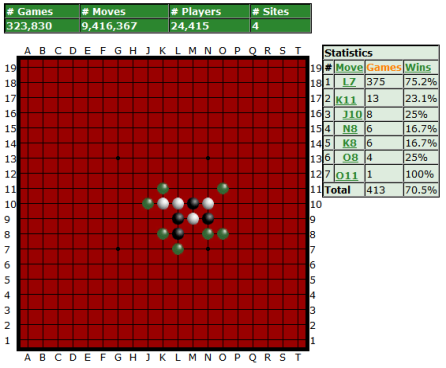 With the game database you can find games with the same openings in seconds. 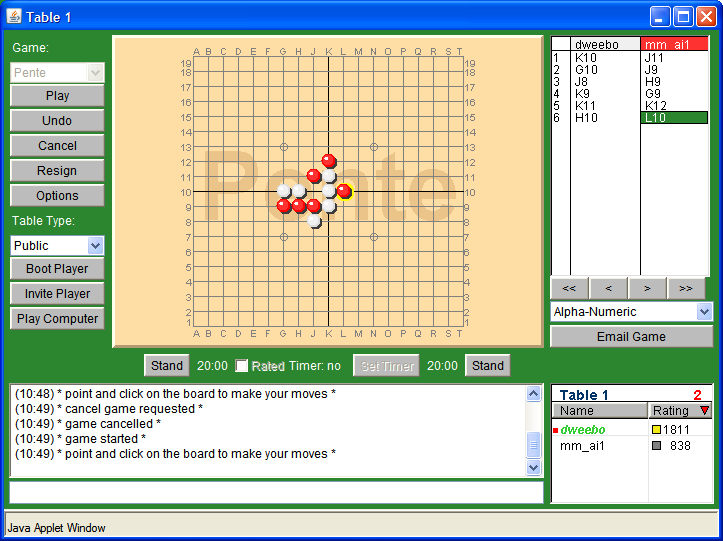 Learn basic strategy of the game with our Pente tutorials, designed for the beginner player. Once you've got the hang of the game, try the puzzles for a good challenge!